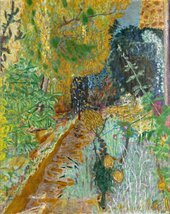 Be the first to see the works of one of the greatest colourists of the early 20th century before the exhibition opens to the public. Guided tours are available during the day time Private View. The evening Private Views are the perfect time to see the exhibition outside of gallery hours and are a great social occasion for an evening with friends. Members are invited to attend with a guest. No booking is required. Go for drinks and a bite to eat in the Members Bar of the Natalie Bell Building, or stay for dinner at the Level 6 Kitchen & Bar. First sitting 19.00, last sitting 21.00. Book your table for dinner by emailing Kitchen.Bar@tate.org.uk or calling +44 (0)207 401 5103. 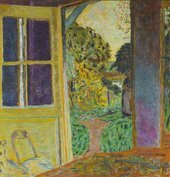 If you can’t make these times, Pierre Bonnard: The Colour of Memory is open to Members during special Members Hours. These take place during the opening and closing weekends from 9.00–10.00, offering Members an exclusive chance to see the exhibition in the quiet hours before the gallery opens to the public.